Put ’em on when you need ’em, take ’em off when you don't. Each Panel measures 69" x 65"
Weather took a turn for the worse? 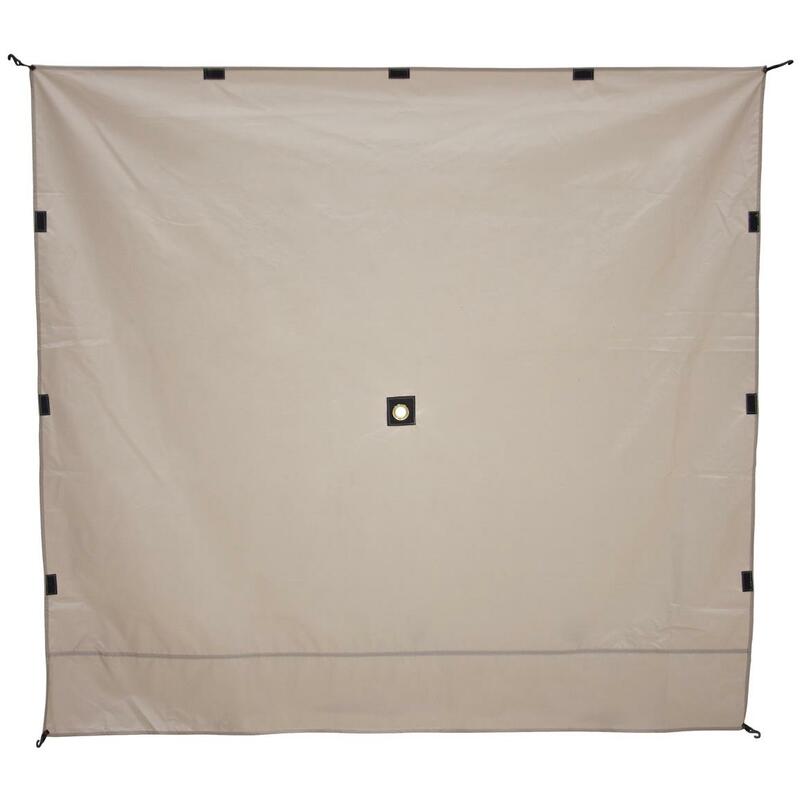 Attach these Wind Panels to ANY GazelleTM Screen Tent (Sold separately under SKU#s 666523 and 666524) and shelter yourself from wind and sideways rain. 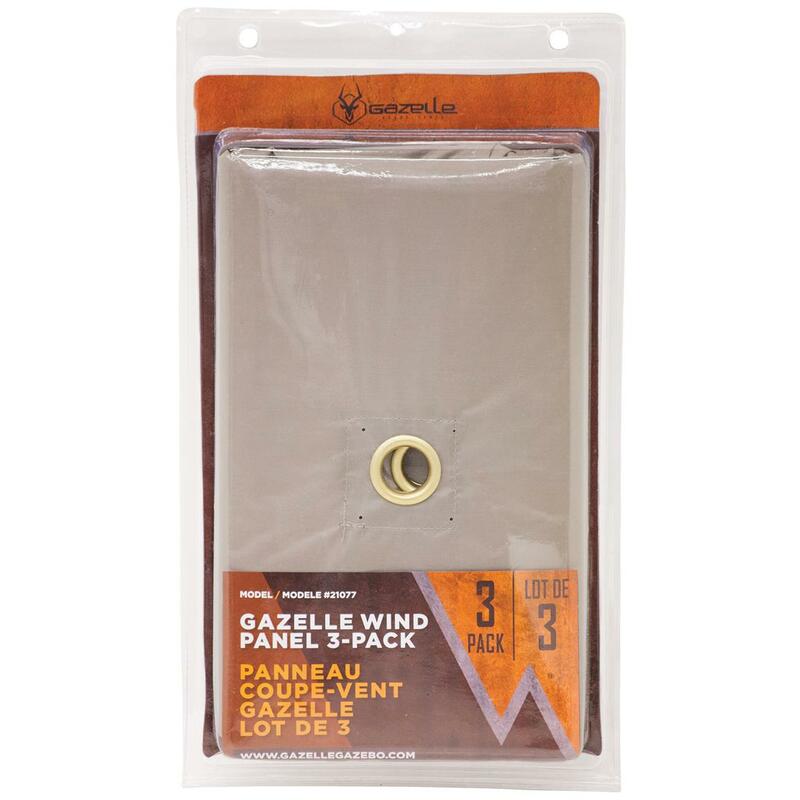 Dimensions (each): 69" x 65"
Gazelle Gazebo Wind Panels, 3 Pack is rated 4.7 out of 5 by 3. 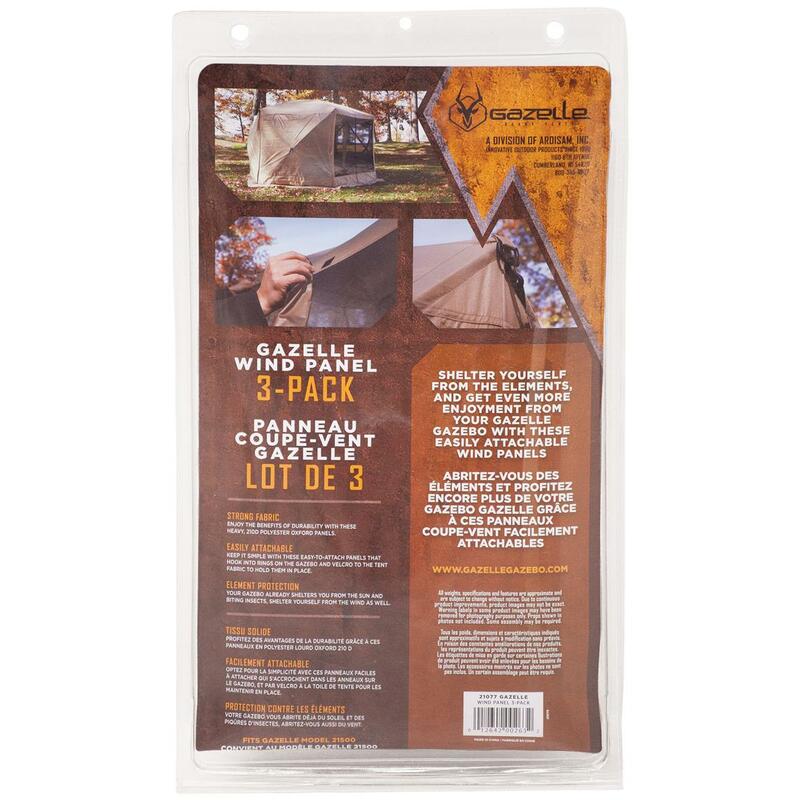 Rated 5 out of 5 by Mike from Pannels They work great and are easy to attach. They really help in inclement weather. Rated 5 out of 5 by PatJ from STURDY! Gazelle's panels arrived in perfect condition. The panels turn their already wonderful gazebo into a nice shelter area that keeps out the wind and the cold. We use it as a guest room for overnight sleeping, and as an outdoor room for relaxing, dining, and hobbies, since we are full-time RVers. 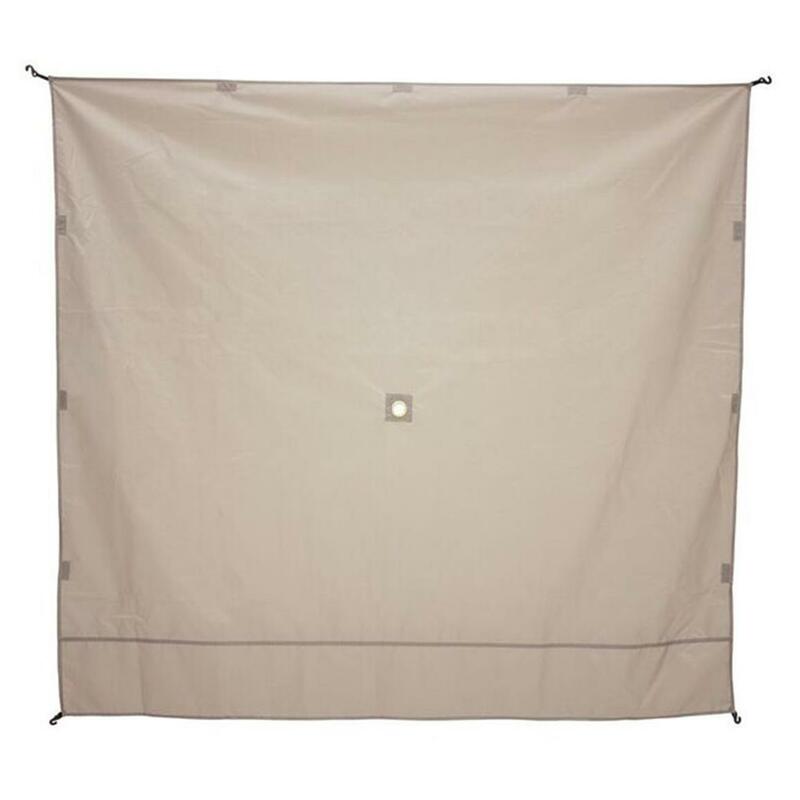 Rated 4 out of 5 by Matt from Adaptable and easy I used the wind panel as additional shade on the pergola, and with the center hole I was able to configure a pull line so moisture does not accumulate.